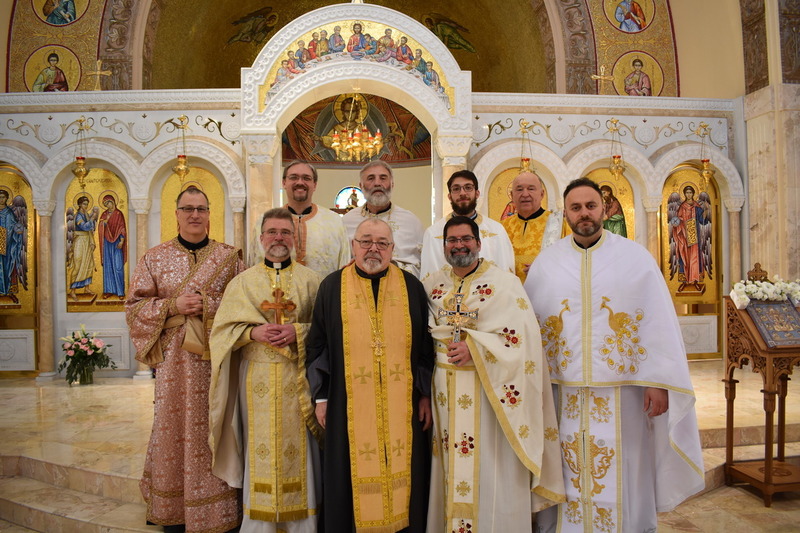 On the first Sunday of the Great and Holy Lent, when we celebrate the victory of Orthodox faith over heresies, orthodox clergy and faithful in Columbus joined together in celebration of this great feast. 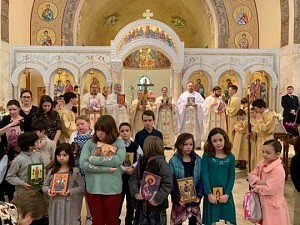 The Pan-Orthodox Divine Liturgy was celebrated at the Annunciation Greek Orthodox Cathedral in downtown Columbus, Ohio. During Divine Liturgy the clergy and children proceeded around the Church in traditional procession with Holy icons. The reading of “The Synodicon of Orthodoxy” was performed in front of the Holy Altar at the conclusion of procession. Following this beautiful celebration of Orthodoxy, everyone was invited to the Cathedral social hall for continual fellowship and agape.